These Filters only fit our NEW 700 Series Systems. For Customers with our original 100 Series of Ultra Filtration Systems ( UF) Mineral Pro will replace the original 100 Series UF Head Assembly with the purchase of a new set of 700 series filters. Cost is $200.00 and includes free shipping! 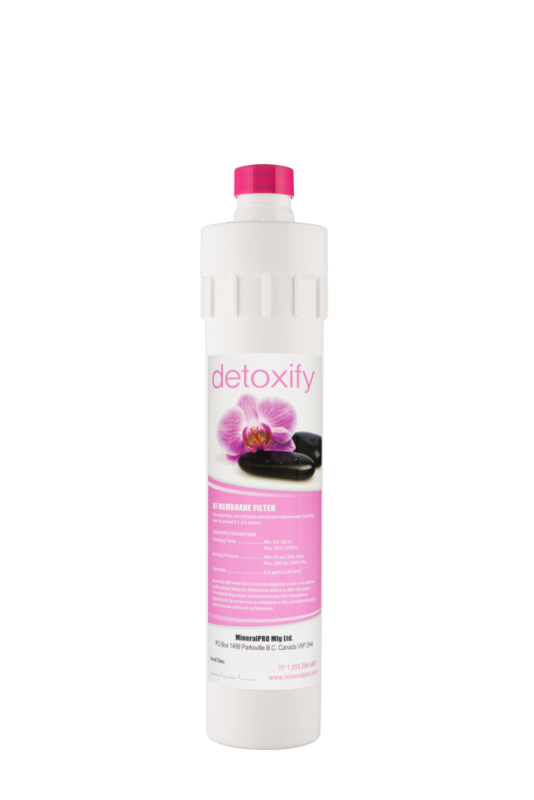 Compatible with the MineralPRO Ultra Filtration (UF) System.